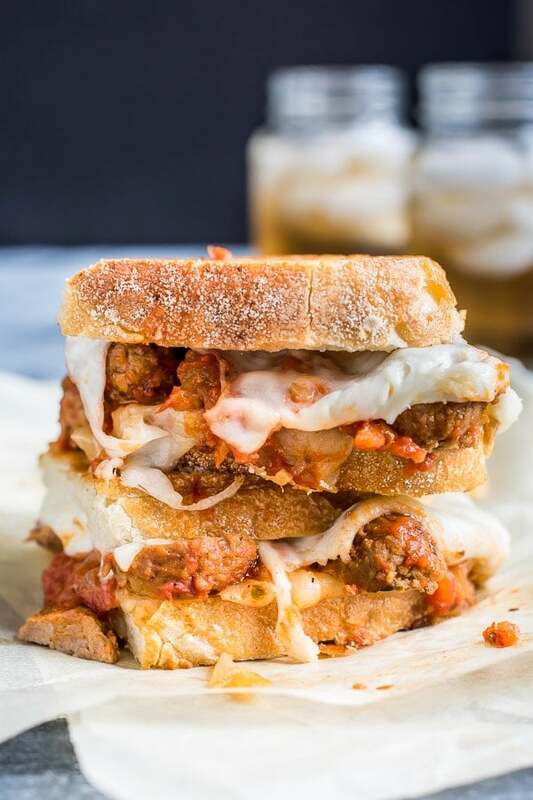 This Meatball Sub Grilled Cheese loaded with mozzarella, provolone, onions, and saucy meatballs is one serious sandwich. 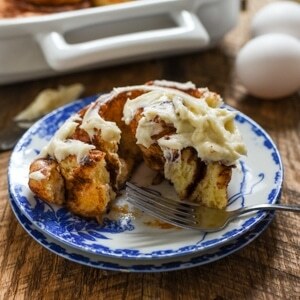 It’s a mess well worth making (and eating!). These days it seems like any old food can get its own holiday. I mean, do we really need a National Turkey Neck Soup day? And has celery really done enough to earn its own month? Celery’s only claim to fame is Ants on a Log, and let’s be honest, peanut butter is the real star of that little number. There are, however, a few foods worthy of their own days, and yes, even their own months. One of those is no doubt the grilled cheese sandwich, which is celebrating its own special month in April. Iconic, comforting, melty, gooey, and buttery, no one can resist the power of a good grilled cheese. Even sorta terrible grilled cheeses are still pretty good. I remember LOVING the grilled cheeses at my middle school cafeteria. I’m sure they were made with the cheapest bread available, a schmear of margarine, and a slice of government cheese, but heck, even that was delicious. You really can’t go wrong with grilled cheese. But we’re not here to talk about mediocre grilled cheese. We’re here to talk about great, stellar, jaw-dropping grilled cheese. 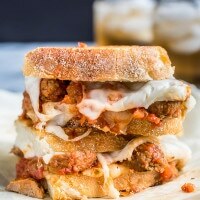 And that, my friends, is exactly what this Meatball Sub Grilled Cheese is. Holy goodness. Let’s break this sucker down. It all starts with a quick, seriously easy homemade marinara. This marinara is thick, garlicky, and just a teensy bit spicy. It’s the perfect sauce for slathering up some meatballs. 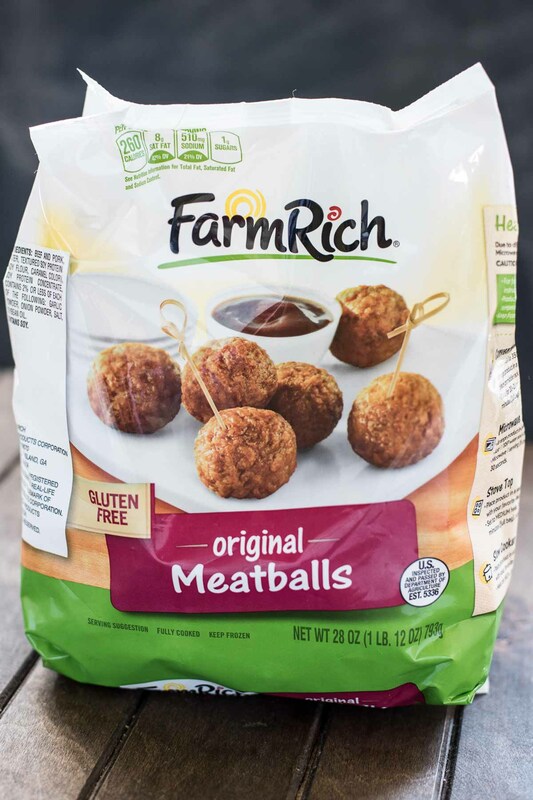 I like to use Farm Rich’s meatballs to make short work of this meal and others like it. 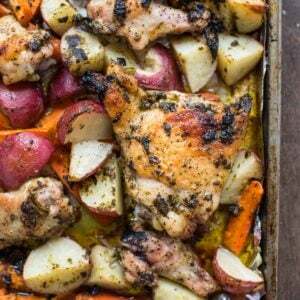 They’re packed with flavor and easy to simmer in sauces, soups, or casseroles for quick weeknight dinners. The original or Italian meatballs both work great for this recipe. You know how the rest of the story goes. Good crusty Italian bread, butter carefully swiped to the very edge, and cheese, gobs and gobs of cheese. For these I use a mixture of thick sliced fresh mozzarella and smoky provolone. The melt factor is unreal. Will you likely splatter your shirt with marinara sauce attempting to eat this? Yes. Will it be totally, 100% worth it? You bet. 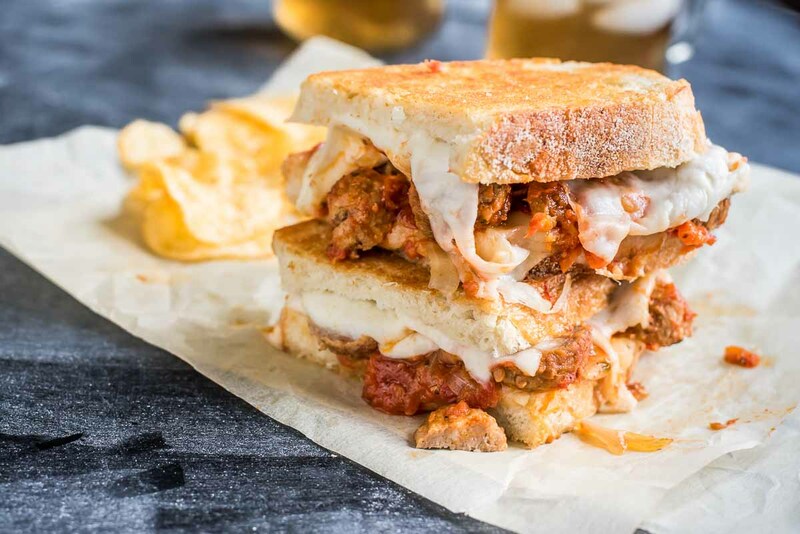 Grab yourself a pile of napkins, because you’re about to celebrate National Grilled Cheese Month with one heck of a sandwich. This post was developed in partnership with Farm Rich. For exclusive offers and promotions, be sure to sign up for their newsletter. You can also follow them on Facebook, Twitter, Pinterest and Instagram for tips, hacks, and fresh meal ideas to make life a little simpler! Heat the oil in a large skillet over medium heat. Add the onion and saute until softened and nearly translucent, about 5-6 minutes. Add the garlic and crushed red pepper and saute until fragrant, about a minute. Add the tomatoes and juice and use a potato masher to break them up. Sprinkle with salt. Bring to a simmer and cook, stirring occasionally, for 15 minutes, or until thickened. Add the meatballs and stir to coat. Cover and continue to cook an additional 20-25 minutes or until meatballs are hot clear through. Stir in the fresh basil then set aside. To prepare the sandwiches, spread the butter evenly on one side of each of the slices of bread. 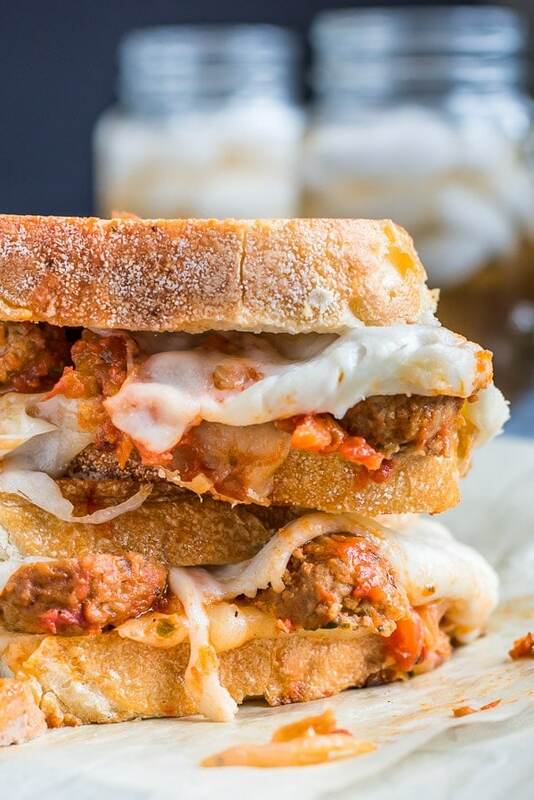 On the unbuttered side, layer the mozzarella cheese, meatballs and sauce, provolone cheese, then the second piece of bread, buttered side out. Repeat with remaining slices. Heat a grill pan over medium heat. Add the sandwiches and grill until bread is golden brown and cheese is melting. Flip and grill until cheese is completely melted and the opposite side is golden. Serve hot with plenty of napkins! Goodness! This is some sandwich……..ohhh that cheese! Worth every dribble on the clothes. Pinned. Thanks for sharing. Thanks Mary! It certainly is worth all the mess. Just might need a Tide pen handy. 🙂 Thanks for pinning!